You are currently browsing the category archive for the ‘My Little Pony’ category. UK PonyCon – are you going? October is convention month for me! 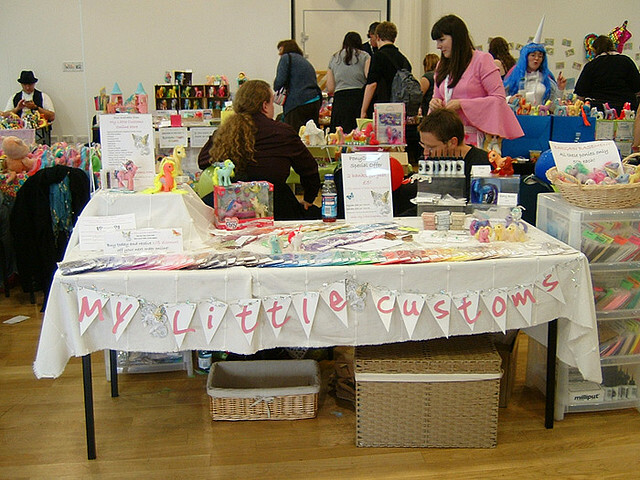 I attended the first ever UK BlytheCon at the beginning of this month and am now preparing for UK PonyCon! UK PonyCon 2010 is taking place on Saturday 23rd October in Birmingham – I couldn’t make it to the 2009 PonyCon so am even more excited than usual – I have missed you all! 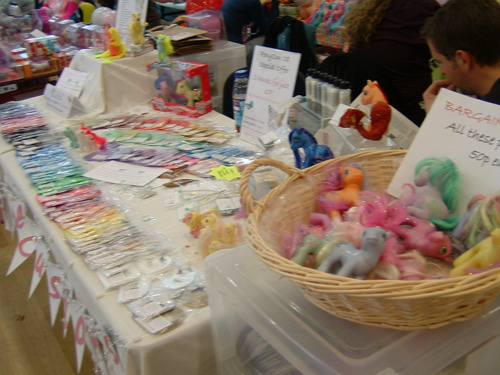 This year, as always, I will be having a stall however, I am not sure how to lay out my stall this year, do I opt for the hair rainbow like I had in 2008 or do I try something different? Ponies and rainbows go hand in hand, however, over the last 2 years my hair colour range has massively increased so I am not sure I can fit them all on! 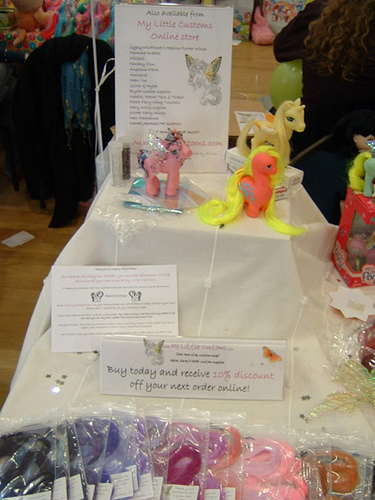 There are lots of lovely photographs from previous PonyCon’s to get you in the mood! You can view them either on the UK PonyCon website or alternatively, on Flickr! I also can’t wait to get my hands on the UKPonyCon 2010 Exclusive pony, she is GREEN! Yay ponies! UKPonyCon, The International My Little Pony Convention, is taking place on 23rd October at The Public, West Bromich, B70 7PG – doors open at 10am – you can buy your tickets in advance at www.ukponycon.co.uk or alternatively on the door!